Sometimes it’s there, sometimes it isn’t: Lundy Island. The other evening, the cloud appeared to end over Lundy as it rose up out of the sea. 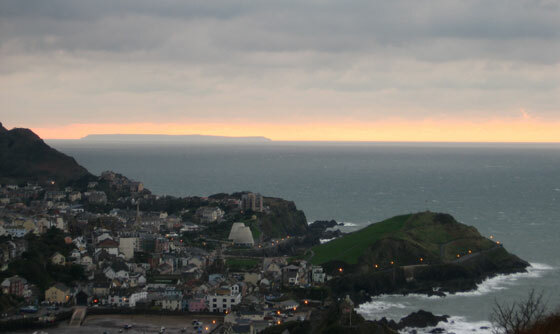 It was a murky evening, a bit like tonight, but the view was still stunning. The wind was blowing and the sea lashing at the rocks. Beautiful. Posted in Ilfracombe. Tagged with Devon, Ilfracombe, Lundy Island.